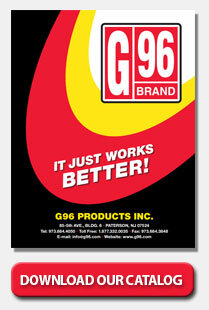 G96 is one of the most trusted names in gun lubricants and cleaning products. Our products are used worldwide by many Federal, State and Local Governments, Law Enforcement, Military and Security Personnel. G96 gained its reputation through it's trusted use by recreational hunters and shooters. G96 truly lives up to its reputation! Just ask any of our customers and they'll tell you why: It just works better! These specifications assure that our Synthetic CLP Gun Oil (traditional and Bio-based) and Rifle Bore Cleaner meets or exceeds the newest Military Standards. We welcome all Government Agencies, Law Enforcement Officials, Security Organizations, Hunters, and Sportsmen/Sportswomen to experience our products. Just take a look at the findings…. G96 Synthetic CLP Gun Oil and Rifle Bore Cleaner has met the following specifications as tested by the U.S. Military/Armament Research, Development and Engineering Center (ARDEC). Please read the MIL-PRF-63460F and MIL-PRF-372F specification for a complete listing of the approval criteria. You may click on FAQ’s to view additional information on the testing process as well as additional information on all of our other products. and most importantly – LIVE FIRE tests conducted by ARDEC on M249’s after cold temperature, exposure to blowing dust, and after salt-spray conditioning. Click HERE to view the CLP Qualification Testing Update Letter.